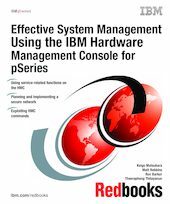 The IBM Hardware Management Console for pSeries (HMC) is a tool used for administration and management of IBM eServer pSeries servers. It was first announced in late 2001 with the IBM eServer pSeries 690 Model 681, the first partitioning-capable pSeries server model, and has been supporting the other partitioning-capable pSeries server models in conjunction with several software release level updates. In addition, this book covers the basic usage of the HMC graphical user interface. New HMC commands, available with the HMC software Release 3, Version 2, are detailed in Chapter 9, HMC command line interface and Chapter 10, Advanced HMC command examples.